Emaginationz Technologies, is ERP software development company based in Navi Mumbai, Web ERP Integration, Open Source ERP Integration, ERP Solutions to our clients in Navi Mumbai, Mumbai and globally as well, webERP is a complete accounting and ERP that requires only a browserand a PDF viewer to be used. It has a wide range of features that can laces in many types of businesses, particularly businesses engaged in the marketing of goods and distribution. It is possible with webERP you can change your decisions at any time to meet the changing needs and demands of your company. By choosing our ERP solutions you can reduce hidden organizational, on-going-integration, operational and maintenance costs. Open Source solutions like webERP offer numerous benefits over commercial software, like low cost of ownership and unparalleled product control. webERP is true open source. This means that webERP is available free for everyone to download, and it cannot be bought or merged out of existence - ever. This gives freedom from vendor lock-in, and the security of knowing your investment in webERP will last as long as you want it to. Traditional ERP applications weren't developed for the complexities of the global market. Gaps in functionality arise when these features are simply layered on top of existing code. webERP was designed with global markets in mind, featuring multi-currency, and multi-tax, multi-costing, multi-accounting and multi-organizational functionalities. Our accounting solutions cater to the needs of your enterprise, no matter what currency or schema you use. webERP even provides the flexibility to account in one or more Accounting Schema in parallel. The basic purpose of ERP solutions is to provide support to business customers, faster response times to problems, and an efficient management information enabling timely decision making and reduced total operating costs. Flexible: The system is flexible to meet the changing needs of the organization. Multifunctional: Take the follow up steps, materials, goods and resources alike. Encompass the entire enterprise: Plans, controls and processes across the organization. It covers processes and multiple business locations. Real time: Transactions and processes are executed immediately integrated. The software covers multiple business applications. Join the operating results and financial aspects involved. Security: Access restrictions applied in each module of the system. Scalable: Can be upgraded to process more transactions by adding new processors and storage devices that can be implemented easily and transparently. Adaptable: The ERP is designed to better adapt to the idiosyncrasies of each company. Centralized database: ERP components interact with each other to consolidate all operations. In an ERP system data is entered only once and must be consistent, complete and common. 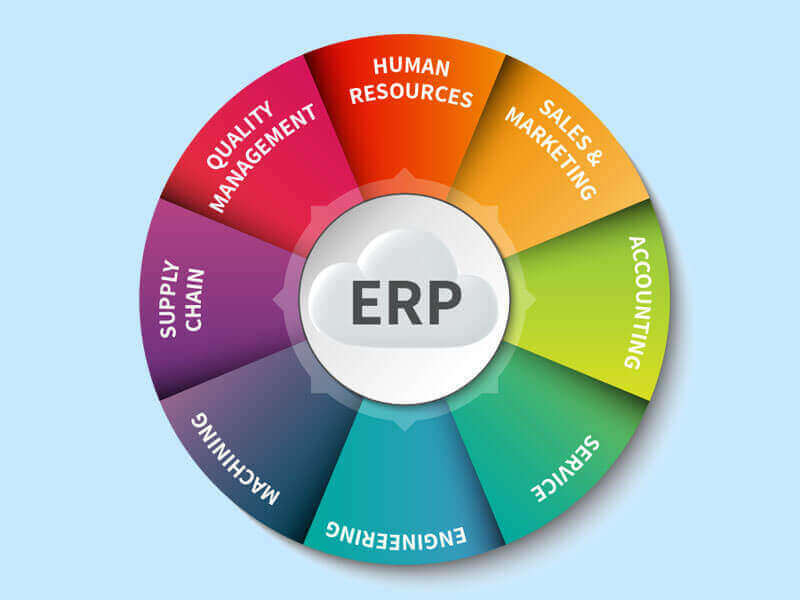 Our ERP software development comapny's objective is deliver finest Optimization of business processes. Access to all information in a reliable, accurate and timely (data integrity). The ability to share information between all components of the organization. Elimination of unnecessary operations and data reengineering. An SQL report writer is also available for advanced report writing.